Policy networks – an idea whose time has come? by Dr Kathryn Oliver, Provost Fellow in Knowledge and Policy Networks at University College London. With a general election just around the corner, everyone is on high alert for scandals. No one (well, ok – everyone except the politicians) wants to see another Bullingdon Club revelation, or a phone-hacking story. While there are a myriad ways for a politician to damage their credibility, it seems that old-boy’s networks are pretty widely understood to be Bad News. Getting a job or any other benefit through a friend, a school-mate, a wife, or a man you met down the pub is – however usual – frowned on. But human beings, like all primates, are social beings. This does not stop being the case just because people have got decision-making tasks. Interpersonal connections are known to influence everything from where policymakers find evidence, create agendas, develop policies – in fact, as our systematic review showed, every part of the policy process. In health policy, much of the work done in this topic focuses on how to get more evidence into policy. However, as we recently argued, understanding the ‘street-level’ day-to-day business of policy actors – of all kinds – is far more likely to yield fruit than simply exhorting policymakers to use more evidence. The interesting part of this day-to-day business is, for me, the networks between the policy actors. Network analysis allows us to map and analyse these connections, and this is the basis of a new project at UCL STEaPP. 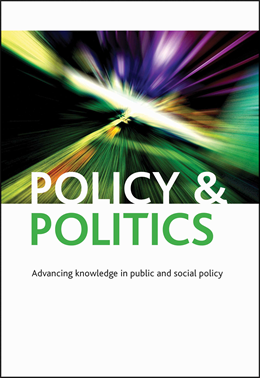 The concept of the ‘policy network’ has been around for some time – understood variously as a mode of governance, and a metaphor for the reality of governance, or configurations of individuals/organisations engaged in a policy sector. Networks as a concept, or an empirical phenomena, contrast with the hierarchical, market-based perspective which has traditionally been used to analyse public policy. However, although there are lots of new studies which have collected empirical data, they often draw on different types of nodes (individuals, organisations, countries) and ties (friends with, funds, collaborates with, cites… and so on). Drawing generalised lessons about policy networks is therefore challenging.